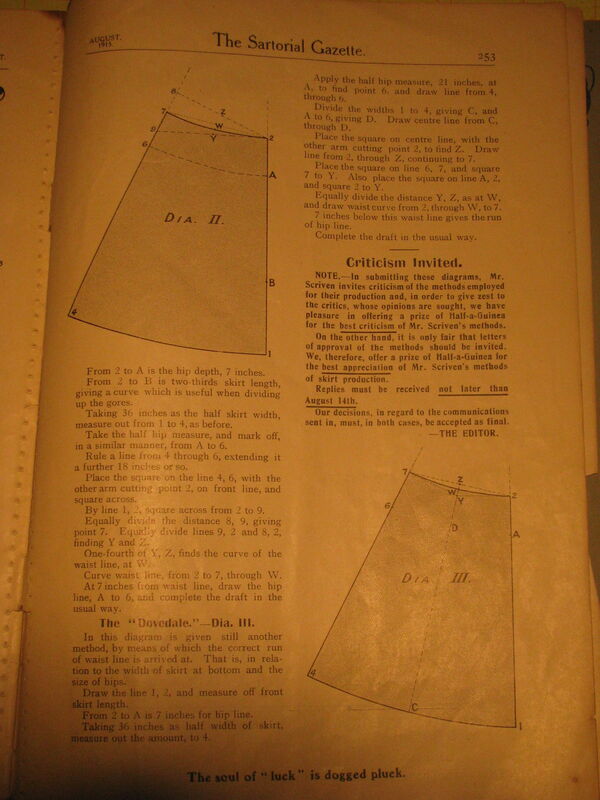 In the article, Scriven discusses three methods of drafting these skirts — The “Conical” Skirt System, The “Ashbourne”, and The “Dovedale”. The Conical System is pretty straightforward. It’s only downside is that it takes a lot of room to be able to draw it out fully. Although when the bottom edge is made longer, the conical part at the top shortens, which is handy. The Ashbourne System was developed to get rid of the elbow room required in the conical system. So perhaps that makes this draft a tad easier, at least for beginners. The final draft, the Dovedale System, is a method where the correct run of the waistline is arrived at. 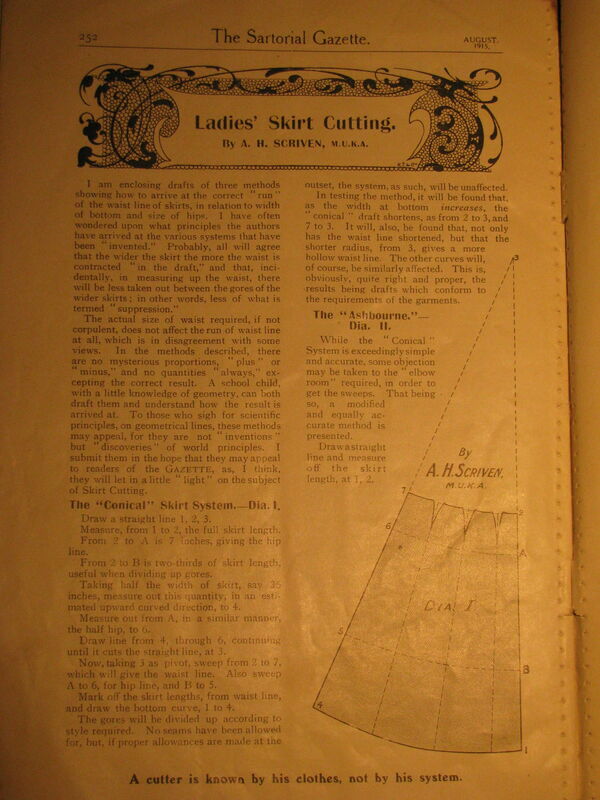 The run of waistline in this case is the waist’s relation to the width of the skirt at bottom and the size of hips. By completing these drafts, you’ll get a taste of what pattern drafting is like. The next step would be to move on to trousers, then waistcoats, and coats. Click on the images to get a full sized version.